America has changed since the election of President Donald Trump, and it is not positive. There is more division, anxiety, gun violence, and disrespect for one another. 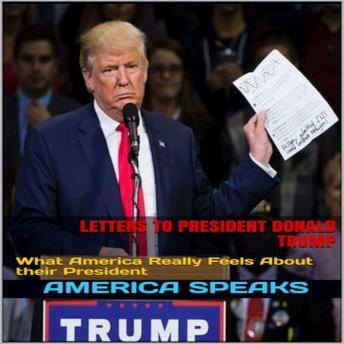 America has spoken, and here are the letters of those Americans that wish to be heard on issues that make us one and concern for our great country. From racism, religion, economy, political division, social media, and sexual harassment, these letters convey passion and hope so conditions improve in this country we call home. American citizens are tired of the back and forth with political parties, they want their country to move positively forward, and for their President to lead in a more mature and positive way.